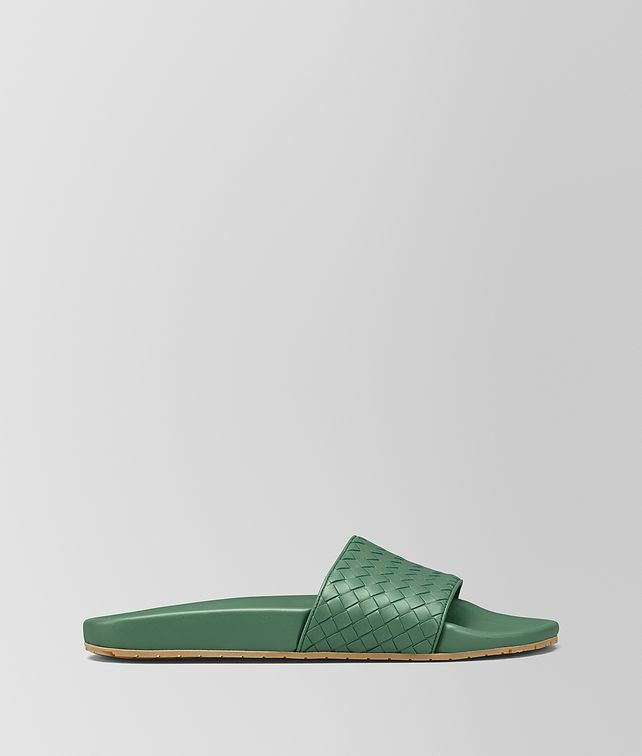 A contemporary update of a classic Bottega Veneta sandal, this essential style features a wide, sturdy intrecciato calf leather upper. The shaped insole is crafted from leather-lined polyurethane, making the sandal particularly light and comfortable to wear. Finished with a gripped rubber sole.